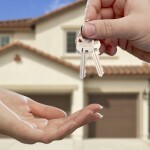 Are you weighing the decision to buy your first home in West Virginia? 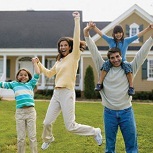 Would you like information regarding various programs available to help you purchase that first home? If so, read on. The state of West Virginia provides programs and incentives for its residents who are first time home buyers and need help with the down payment and closing costs. Additionalluy, there are Federal programs available as well as grants from private foundations. This is free money that shouldn’t be passed up! The program amounts can be in the thousands of dollars. It will be well worth your time to educate yourself about the programs that are available to residents of West Virginia. 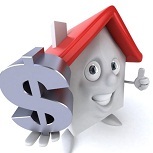 A 15-year loan with a maximum amount up to $15,000 for qualified borrowers with a deferment period of five (5) years. During the deferment period, the interest rate would be 0% with no payment due. The remaining ten (10) years would be a fully-amortizing loan at 2.75% interest. In effect, you are receiving a grant of the interest that you would have had to pay. To find out the specific details, please visit the West Virginia Housing Development Fund website page specifically describing this beneficial grant program. You can reach it at West Virginia programs. 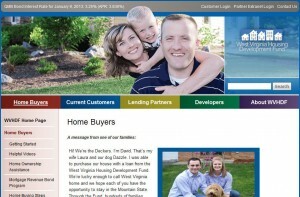 In addition to the home buyer programs described above, the U.S. Department of Housing and Urban Development provides home buyer assistance to West Virginia Residents. There are multiple grant programs designed specifically for people that meet certain requirements, such as grants for people with disabilities so they can continue to live independently at home. 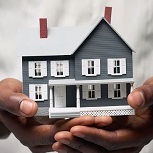 It is worth visiting HUD’s website to see what assistance is currently available. For your convenience, simply go to grants in West Virginia. “If your family, or a family you know, is in need of decent, affordable housing, please contact your local Habitat affiliate. The Habitat affiliate will explain the application process and provide information on the availability, size and cost of Habitat homes in your area. This entry was posted in Down Payment Assistance, First Time Home Buyer Grants, First Time Home Buyer Info, First Time Home Buyer Programs and tagged City of Charleston HOME Program, Down Payment Assistance Loan, West Virginia Housing Development Fund. Bookmark the permalink.